Two of my favourite things in the world are cheese and getaways, so when Swedish cheese company Västerbottensost got in touch to see if I wanted to try out some of their summertime recipes I couldn’t diss-a-brie (that’s the only pun I swear…it’s also not technically a brie). I am actually heading to Sweden for the first time in a couple of months on a city break to Gothenburg, so this was the perfect excuse to get in the kitchen and try out some of the local grub! Västerbotten, known as the king of Swedish cheeses is similar to mature, sharp tasting cheddar and Västerbottensost have teamed up with Swedish celebrity chef Filip Fasten to create a series of recipes which allow you to create a scandi summer spread at home. With everything from a cheesy potato gratin to a crisp herring flatbread, there are a range of dishes to choose from. After a trip to Oslo earlier in the year, I fell in love with Scandianavian pastry, so I decided to try out the cheese pie. I have to admit I cheated and used ready made pastry, but other than that the pie was super easy to make, taking roughly an hour on a lazy Sunday afternoon with a glass of red on the go. The tangy taste of the cheese worked like a dream with the nutmeg and it was delicious served up warm and equally as tasty for my lunch the next day. I side stepped the herbs and instead teamed it with a generous helping of my favourite chutney. 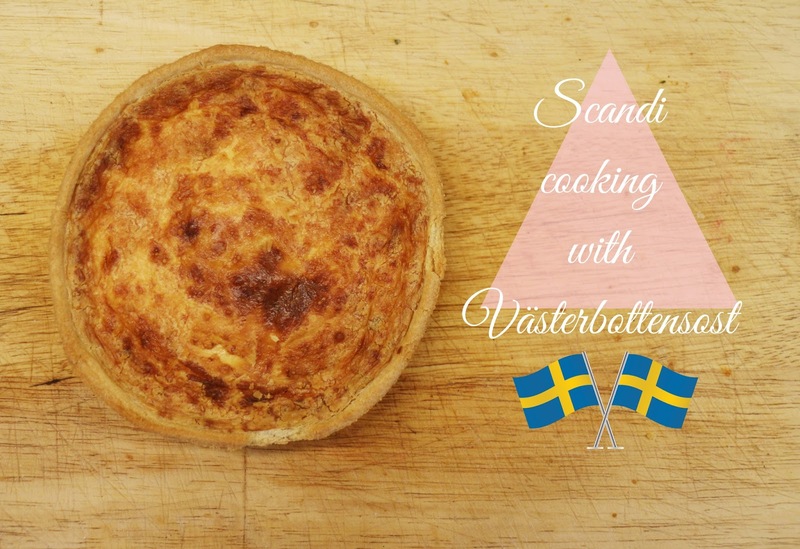 Have you ever tried any Scandi cooking? What’s your favourite Swedish treat? *I was sent Västerbottensost for review purposes, however all opinions are my own.